Bangalore is the capital city of the Indian state of Karnataka. It is placed on the Deccan Plateau, at an elevation of more than 900 m above sea level in southern India. Bangalore is the third most populous city. Bangalore is famous for its pleasant environment throughout the year. Its elevation is the highest among the major large urban areas of India. Bangalore has an important role in the nation’s leading information technology exporter that why it is called as “Silicon Valley of India”. It has the best of technical institutes in the country giving quality technical education to the students. The average literacy rate of Bangalore is 87.67%. 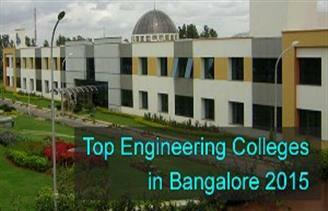 In this article, we will record the list of Top Engineering Colleges in Bangalore 2016. Bangalore is known for its IT industries and IT Parks majorly covering organizations from IT and Software industry. Some of the preferred engineering programmes that are most sought by the students are: Automobile Engineering, Chemical Engineering, Mechanical Engineering, Telecommunication Engineering and etc.